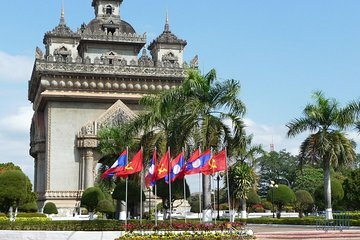 Ideal introduction to Vientiane for first-time visitors or those short on time! Good 1 day tour of Vientiane area. Our guide Bon did a nice job. After this tour you have seen almost everything in the area, except for the newer temples throughout the city. Some are quite beautiful. Buddha Park is interesting, but smaller than expected. Lunch restaurant was a very nice, upscale place. Several excellent local dishes. Our first time in Vientiane, and we were lucky to have a fantastic guide who's knowledgable and passionate about Laos. We visited the key sights in Vientiane; learnt of things we didnt know; and the many legends behind the different sculptures in Buddha Park. Well-organised tour, highly recommended!